Despite coming from a lineage including a grandfather and great-grandfather who were performers, it was not easy for her to leave a corporate life and dedicate herself to theatre six years back. THIRUVANANTHAPURAM: Creating little histories that challenge the grand narrative—this is a purpose that dramaturge Anuja Ghosalkar has entrusted on her own work. Touted as a sole proponent of a style called documentary theatre—which uses materials such as newspapers, letters, journals, and correspondences as source material for stories about real events—in India, she disintegrates the conventional idea of theatre. 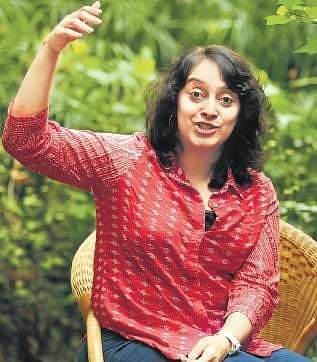 “Documentary theatre is a highly political form and I started incorporating tools used in the style after I got fed up of a transactional relationship between audience and performer in the urban English drama scene,” says Bengaluru-based Anuja, who believes that a patriarchal system is stopping the artform in the country from evolving. We speak to this founder of the Drama Queen troupe as she is set to host workshops in cities across India in an attempt to spread the gospel of documentary theatre before curating Asia’s largest festival on the theatre form in 2020. Despite coming from a lineage including a grandfather and great-grandfather who were performers, it was not easy for her to leave a corporate life and dedicate herself to theatre six years back. “I was always typecast into certain roles and collaborators were always judgemental of a woman of my age doing plays,” says the 40-year-old. In a search for a medium to portray contemporary realities, she ended up learning about documentary theatre in a workshop led by a German dramateur. Thus was the creation of her debut theatrical, Lady Anandi. The play tells the tale of a stage actress in contemporary India by drawing parallels with another actor from a century ago using scripts and photographs Anuja recovered from her ancestor. The performance is conceived as a work in progress involving the audience and has travelled to places including Sweden and Germany. Expanding the scope of breaking down the fourth wall, her latest play The Reading Room uses the onlookers—who bring their own letters to be read out—as actors. academics and journalists to architects, artists and researchers. While the previous workshops in Mumbai and Bengaluru saw people bringing in photographs, recipe books, and case studies as material, her Kochi edition will inspect the loss of recorded histories. 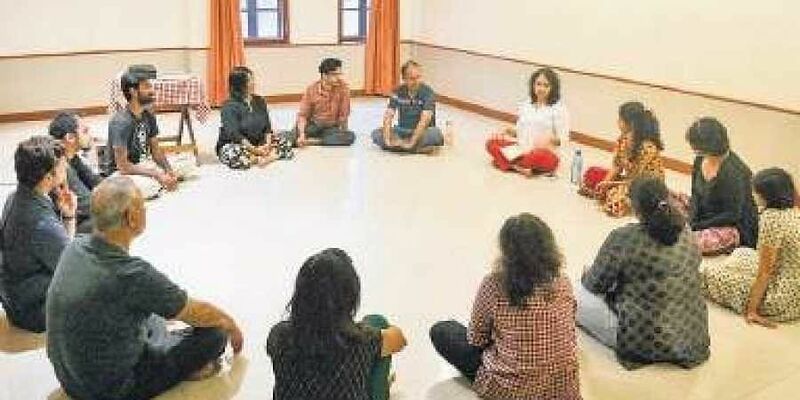 “I read in the news that the recent flood in Kerala has ruined a lot of documents, so I started wondering how we can reconstruct that memory for our purposes and also how documentary theatre can be a tool for healing,” informs Anuja, about the three-day event. She will also lead a four-day session for kids which will help them develop skills in communication, creative writing and teamwork. From October 12 at Kerala Museum.